Disfigured by generations of accountants, the loss of the original formulas when new owners bought the licences, the disappearance or prohibition of ingredients… Their contemporary versions sometimes give us a glimpse of what they must have been: some are poor parodies, others can be quite acceptable. Nevertheless, I prefer them in their vintage version. Once more more, this isn’t a comprehensive list. I’ve left out the Carons, for instance, despite the many claims that they’ve been terribly tampered with, because I haven’t had the courage to go smell them yet. These are just the fragrances I actually own and wear (sparingly, but hey, I won’t be getting embalmed in them). 1. Coty L’Origan, François Coty (1905). When I smelled this at the Osmothèque, I actually got a punch in the gut, it was so beautiful. L’Heure Bleue without the blues. Available for a song in drugstores. 2. Coty L’Émeraude, François Coty (1921). Tarragon, basil, coumarin, bergamot: an opalescent green jewel. Another one that’s survived on the cheap side of town. 3. Balmain Vent Vert, Germaine Cellier (1947). Another punch in the gut, this time by the Jolly Green Giant, and you fall into a bed of hyacinth and roses. Look for the square flacon (but be prepared to fight me to the death in an auction). Reformulated twice, but impossible to redo, because Cellier used long-lost, complex bases. The current version is cat piss. 4. Balmain Jolie Madame, Germaine Cellier (1953). Violet leaves gloved in leather. Bandit’s better-bred kid sister. The current version is a pale copy, but wearable. 5. Grès Cabochard, Bernard Chant (1959). Another one of Bandit’s kid sisters, an aromatic floral leather chypre. The current version is very watered-down. 6. Houbigant Quelques Fleurs, Paul Parquet (1912). The ancestor of the great floral bouquets like Chanel N°22, ylang and eucalyptus on a musky vanilla base. The “Original” now sold is a fraud. 7. Christian Dior Diorling, Paul Vacher (1963). Grand floral chypre leather. The current version is rather weaker, but can do in a pinch. I'm sure you have a lot of names to add to that list (unfortunately for all of us perfume lovers). I'm expecting them! Must add Dioressence. I recently got the chance to smell an older version of it, and it is so fantastically strange and interesting. Still too feminine for me to wear, but I enjoy that odd rotting note so much. True enough. I only own a vintage Dioressence mini edt and haven't properly sniffed the current version, but by all admissions it's been severely tweaked. 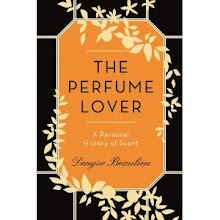 In the old bath oil or perfume, it has an unbelievably charming smoky flowers and musk aura. The new Je Reviens Couture is missing a lot of the complexity, but is really really nice and I wear it as my office perfume quite a lot. Oh man, I love the old stuff in parfum. In case of fire in my house, I think I would grab it out of my ever-expanding perfume cabinet, get the cats, and *then* get out. The new stuff just smells plasticky to me. This goes without saying, right? Before I smartened up and scavenged for Miss Dior parfum on fleabay, I bought the new parfum at Saks, and it's such a frustratingly pale anemic little thing! Still pretty, but I have to flatten my nose to my wrist to smell anything, and I only get a wisp of gardenia and indistinct green. Soooo frustrating. Thanks for highlighting some vintage perfumes in the last couple of posts! Merci! Bonjour! I remember Je Reviens faintly from childhood, and have been meaning to get the vintage..
L'Heure Bleue I haven't compared, don't have the vintage either, but I'd do the same thing with Iris Gris (though Jicky-the-Siamese would come first). And Miss Dior, how could I forget her ! I've stockpiled quite a lot. None of the old Diors, except for Diorissimo (and even then) are up to par now. It's very interesting when you think about it, because M. Dior was quite unique at the time for putting parfum on par with his couture business--in other words, his fragrances were equally as important as the clothes he produced rather than a meaningless side project. And for a house that continues to rely so heavily on its original mystique (enough with the reinterpretations of the New Look, John, we get it, it's Dior!) it seems so odd that they would pay so little attention to their original fragrances. I'm sure Galliano has no control over the beauty licenses, as he's too busy worrying about finding a new way to dress Middle Eastern clients dowdily, but someone over there should throw their weight around a little more for some faithful reformulations. Oh, and a Dior-Dior reissue, please, thanks. The thing is, Dior make a lot more money off their new fragrances. And they don't own the formulas to their old ones: some would belong to Mr Roudnitska's estate, others to whatever lab composed them. LVMH has hired François Demachy, Jacques Polge's former assistant, to put some order into the whole thing, but replication may be impossible because of the disappearances of raw materials, labs that made them, or EU regulations. I got the chance to smell some vintage Dior-Dior recently, but the juice has definitely turned. I was dying to smell the rumored narcissus/woods combo, but all I got was spoiled blech. No major house seems willing to tackle narcissus in a sophisticated, urbane way, but if anyone could do it, I would think Dior could. I have some Dior-Dior in good condition. It's pretty much like Diorella without the aromatic notes. Beautiful, but not a crushing loss. I should've included Miss Balmain and Dioressence to the list, definitely -- didn't because I haven't recently assessed the damages. Has Diorella changed at all since it was launched? I only have a vintage 10ml edt and haven't compared with the current one. Snob and My Sin, of course, belong to the extinct. Don't know if Lanvin will ever dare relaunch a frag with that inflammatory name... and don't want to think about the new, improved formula! D, you're contemporary Snob evocation made me laugh out loud! Yes, I have a weakness for the extinct, I feel I have to keep the flame alive! Although My Sin is available almost daily on Ebay for almost nothing. Diorella HAS changed, according to LT, it is drier and more masculine, but still fabulous, as a perfected Eau Sauvage, and it is a 5-star. It makes me want to try the new one, as the old is way too sweet to wear often. Snob, on the other hand is eminently wearable, an absolutely sparkling floral! I have a sample of Adieu Sagesse here, and I wish I could love it only for the name, but I can't! Do you know anything about the extinct Chanel Cynique??? My fave name of all time! W., I really must re-try Snob. My notes say it's something like a variation on Arpège, which Paul Vacher, the Le Galion perfumer, work on with André Fraysse. The Le Galion names -- Brumes, Bourrasque, Sortilèges, Snob -- are pretty excellent. Adieu Sagesse is one I've never tried. Love Que Sais-je, though, it's a Mitsouko-ish fruity chypre. Love those Le Galion names, luckily I have an in house translator so I can truly appreciate them! Happy to have a Vintage you haven't tried! I have a lovely sample of contemporary Divine Folie Parfum, smells VERY vintage, and I'm eager to hear how you fare with Snob because Arpege doesn't really thrill me. 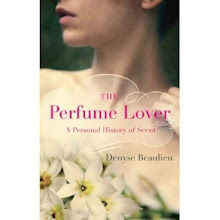 Denyse, if you had the opportunity you'd rather have vintage Cabochard Parfum or EDT? they're surprisingly popular in brazilian auction sites and maybe the only thing that's cheaper here than in US or EU. guess this is the beginning of my collection! loving your blog! very happy and eager reader here. thanks for sharing all the knowledge. Dênis, other factors come into play: how old is the bottle? You can check for "vintage" by looking at websites featuring old advertisements. It the scent in a box? How much is evaporated? Older edts were often quite powerful. I'd say try both, Cabochard is a masterpiece!